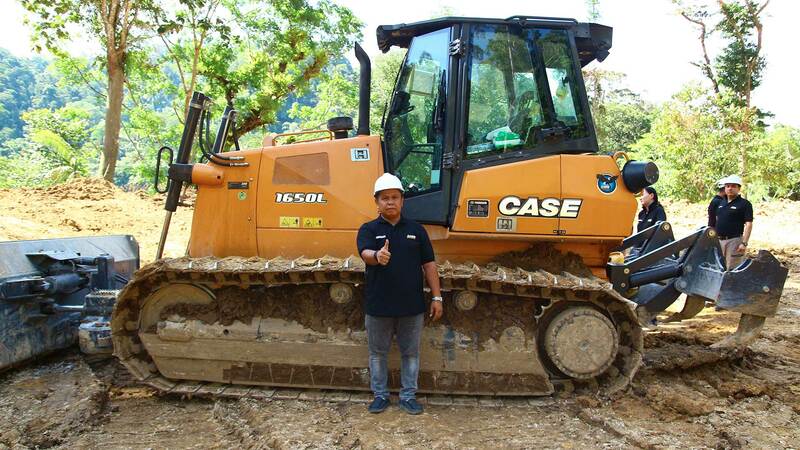 CASE Construction Equipment has given its customers and dealers across South East Asia hands-on training with three crawler dozers: the CASE L-Series 1150L and 1650L models and CASE M- Series 2050M model. The Operator Training event was held in Sipirok, North Sumatra, Indonesia. The four-day programme featured indoor workshops and outdoor dozer demonstrations and test-drives. The first full public showing of the 1150L, 1650L and 2050M models in South East Asia will be at The Big 5 Construct Indonesia exhibition at the Jakarta Convention Center on 8th-10th November. As agile and strong tracked bulldozers with front-mounted blades, the three models are ideal for moving large quantities of soil, sand and rubble in preparation for construction of roadways, bridges, utilities, and buildings. All models are equipped with6.7-litre six-cylinder power from leading global engine manufacturer FPT Industrial, both models offer best-in-class rear drawbar pulling capacity and controllability, with faster cycle times. CASE’s latest-generation dual-path hydrostatic transmission was of particular interest to Operator Training participants. This has a triple-reduction final drive to ensure high torque on the ground, reducing the working pressure of the entire system and improving overall efficiency. The powertrain’s hydrostatic drive and electric control enables automatic speed variation, adjusting the power and speed independently for each tread while turning or counter-rotating. 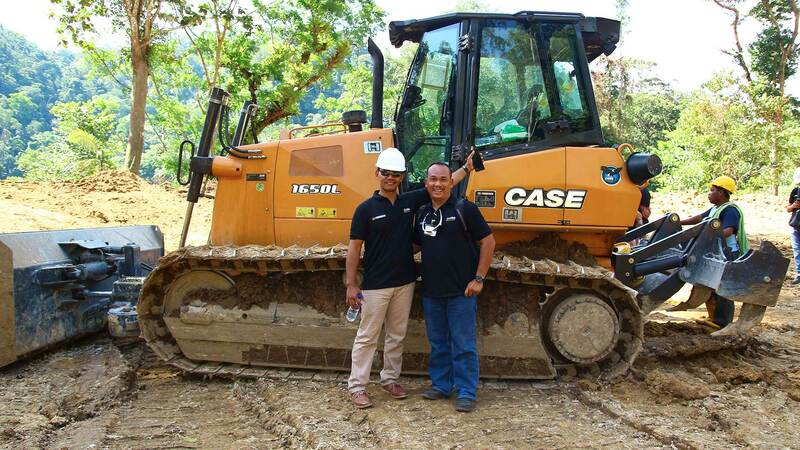 During a variety of practical demonstrations on a construction worksite in Indonesia, the 1650L particularly impressed with its sensation of never-ending power. The engine has its power and fuel-efficiency boosted by common-rail fuel injection and a turbocharger with an air-to-air intercooler. Training exercises showed how, when the dozer’s tractive effort grows and engine speed might be expected to drop, engine power nevertheless continues to increase (up to 16%) all the way to 1800 rpm. The result is constant performance, higher pulling capacity, and an ability to work with higher torque at lower rpm to reduce engine wear. The 1150L and 1650L are also distinguished by a PAT (Power Angle Tilt) blade, which means the machine is adaptable to a wide range of applications and working environments; a robust undercarriage, designed for the toughest conditions; and easy serviceability, with a tiltable cab giving ground-level access to all main components. In addition, the 2050M model puts powerful precision at your disposal thanks to best-in-class horsepower of 214 hp, massive drawbar pull of nearly 81,000 lbs, fingertip controls and customisable steering, shuttle and blade sensitivity settings that can be adjusted between Smooth, Moderate and Aggressive to match ground conditions and operator comfort. A new v-shaped cooling system with auto-reversing fan also helps maximize uptime by automatically clearing the cooling package of debris. The 2050M model offers both PAT and Bulldozer blades. 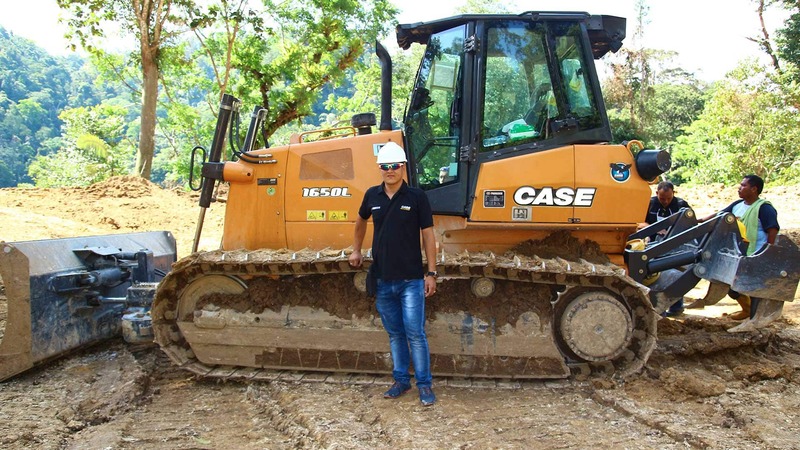 The positive feedback of all participants at this event affirms CASE’s commitment to training, to help customers achieve maximum efficiency with CASE construction equipment and to help the brand’s dealers develop a full understanding of the machines’ world-class capabilities.